Hiii!! I hope you're doing great! For today I just have a super quick and short post. 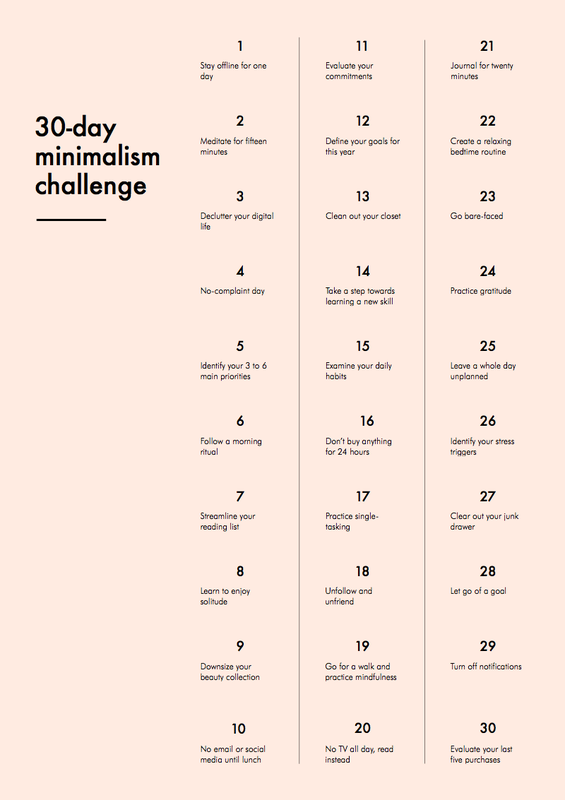 I'm starting a 30-day challenge tomorrow and I feel like sharing it with you, so here I am. It's a minimalism challenge that I randomly came across in January on Bloglovin and got me intrigued by Minimalism. By the way, anyone interested in Minimalism? I love this kind of daily challenges and this one seems pretty interesting so I'm super curious to see what changes and how I'm going to feel during and after it. Do you like this kind of challenges? Also, did you know this particular challenge?